Suzuki Launches Upgraded Wagon R with Increased Price Tag. Pak Suzuki has launched the upgraded model of Wagon R but has also increased the price of the vehicle. The vehicle is now coming with the minor upgrades but you can have it with increase price tag. Earlier Pak Suzuki has barred its distributors to pre-book the Wagon R and did not reveal the reason behind this halt. 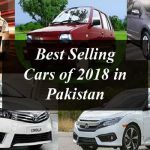 This is the most selling car but the company has not revealed the reason to the public and it was though that the company has stopped the production of Wagon R to boost the sales of its newly launched Suzuki Cultus. On the other hand there were also rumors that suggested that the company has halted the production of Wagon R in order to upgrade it. So here the reason disclosed the company has halted the pre-booking of Wagon R due to its upgradation. Now the company has officially declared the arrival of new Suzuki Wagon R upgraded model. The company has released a notification according to which the new Wagon R model will feature alloy wheels and chromed tail garnish. On the other hand the Wagon R VXL will ship with the above-mentioned upgrades that Suzuki is described as “Wagon R Minor Change”. Although these upgrade in Wagon R are minor but the company has increased its price up to Rs. 50,000. The upgraded model of Suzuki Wagon R will be available at Rs 1,164,000. The price of previous model was Rs. 1,114,000. Pak Suzuki has also hiked the prices of its different vehicles twice in 2018 including the top seller Mehran. The company has first cited the reason behind price hike is the devaluation of rupee against dollar in the country. Later the company cited that most parts for vehicles assembled in Pakistan are imported from abroad, and when the rupee face downfall the prices of all these parts go up.